Elise Meakin (Quarmby) is a North Vancouver artist, born and raised on Vancouver Island in Campbell River, BC. She has loved mountains and art since she was a young girl, and growing up on the wild west coast of BC was the perfect setting for both. Elise studied Fine Arts and Art History at the University of Victoria from 2004-2008, and has continued studying a broad range of art movements since. Elise has formed a unique artistic style based on modern landscape impressionism which continues to evolve with influences of mixed media, abstract art and illustration. Since moving to Vancouver in 2009, Elise has participated in several juried exhibitions and commissioned public art projects throughout Vancouver, the North Shore and Whistler. Her work can also be seen at Cypress Mountain’s Cypress Creek Lodge and on the street banners throughout Deep Cove and Port Moody, BC. In the summer, Elise mountain bikes, rock climbs, canoes, hikes and camps at every opportunity. 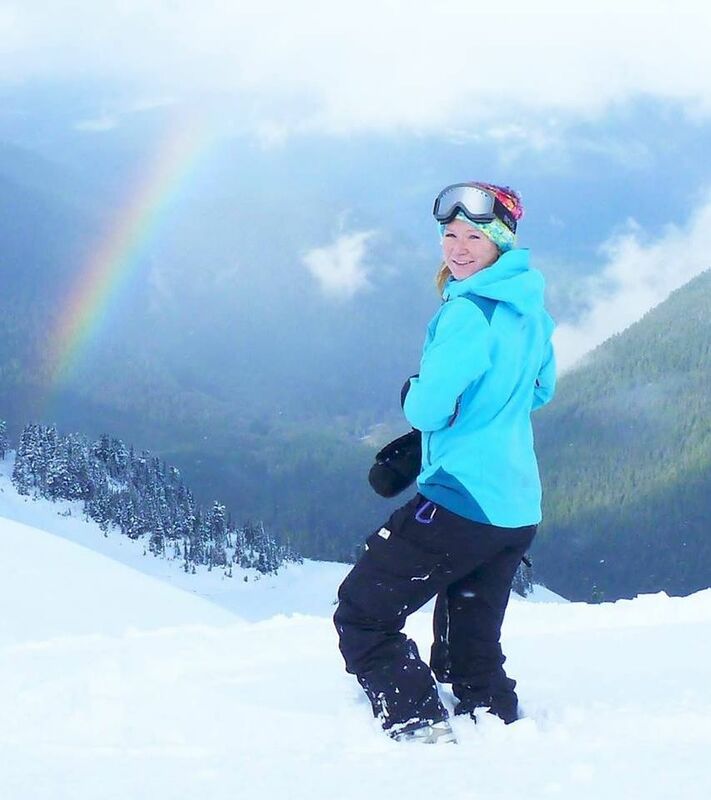 In the winter, she'll head to the mountains to ski powder laps and find inspiration for her next painting.